Brigadier General Solomon Meredith (1810-1875) was the first Colonel of the 19th Indiana Infantry Regiment. He commanded the Iron Brigade at Gettysburg. As the Iron Brigade fell back from Herbst Woods/McPherson Woods on the afternoon of July 1, 1863, Meredith was wounded when he was struck in the head by shrapnel. The wound fractured his skull and gave him a severe concussion. Pieces of shrapnel also killed his horse, which fell on Meredith, breaking his ribs and injuring his right leg. He was disabled and unfit for any further field command. Meredith performed administrative duty for the rest of the war, commanding garrisons protecting United States’ river ports along the Mississippi at Cairo, Illinois, and Paducah, Kentucky. This view, taken circa the 1860s, is courtesy of Richard Goedkoop. In our first Iron Brigade post, Rich Goedkoop introduces us to the Iron Brigade series, explains how the unit was organized at the beginning of the war, and describes their distinctive uniform. 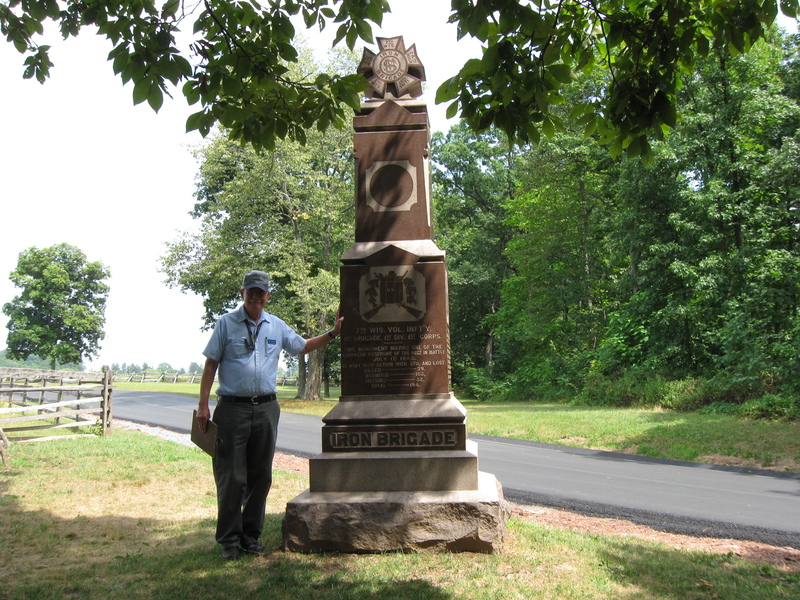 In the third Iron Brigade post, Gettysburg Licensed Battlefield Guide Richard Goedkoop describes the makeup of the First Division of the First Corps, and in particular, the 6th Wisconsin. 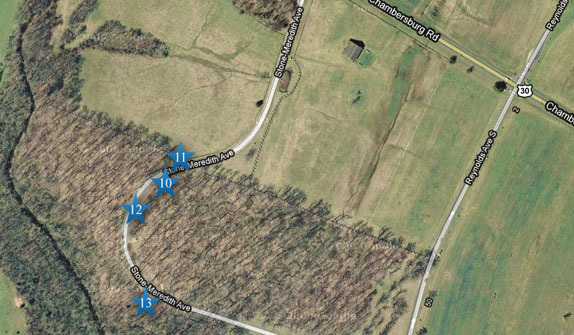 In today’s Iron Brigade post, Gettysburg Licensed Battlefield Guide Richard Goedkoop briefly presents the rest of the regiments of the Iron Brigade and their commanders. This map shows the location of the videos for Iron Brigade posts. Videos #1-#9 were shown in our previous Iron Brigade posts. Video #10 was taken at the monument to the 2nd Wisconsin Infantry Regiment. 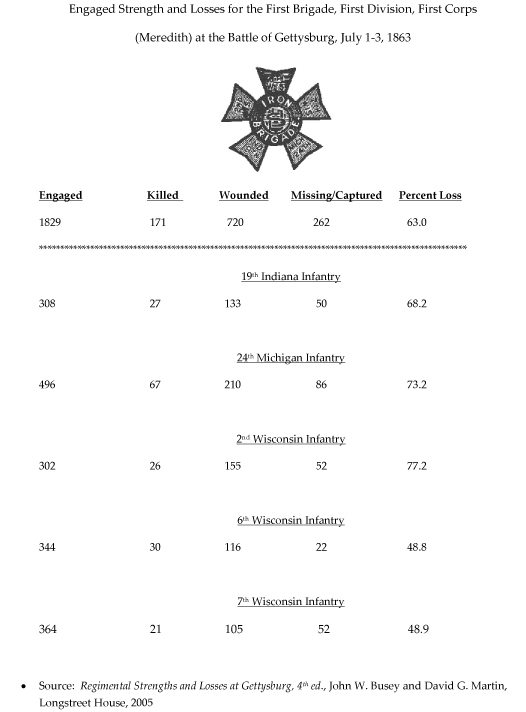 Video #11 was taken at the monument to the 7th Wisconsin Infantry Regiment. Video #12 was taken at the monument to the 24th Michigan Infantry Regiment. Video #13 was taken at the monument to the 19th Indiana Infantry Regiment. This map was created facing north at approximately 4:00 PM on Saturday, September 25, 2010. Gettysburg Licensed Battlefield Guide Rich Goedkoop is the host for the Iron Brigade series. He is standing in Herbst’s Woods/McPherson’s Woods/Reynolds’ Woods near the monument to the 2nd Wisconsin Infantry Regiment. This view was taken east at approximately 3:30 PM on Saturday, July 17, 2010. 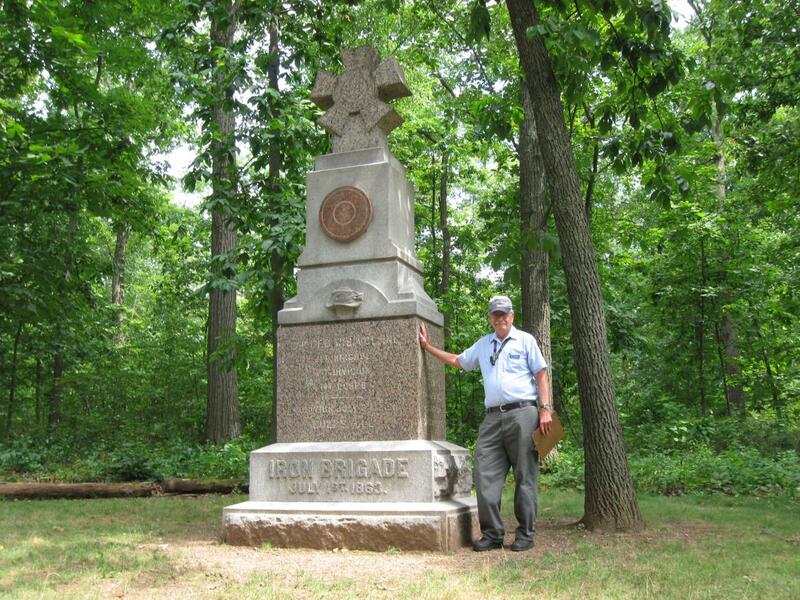 In Video #10 (Videos #s 1-9 were shown in our previous Iron Brigade post) Gettysburg Licensed Battlefield Guide Rich Goedkoop is standing near the monument to the 2nd Wisconsin Infantry Regiment. He presents a brief history of the regiment. This view was taken facing east at approximately 3:30 PM on Saturday, July 17, 2010. 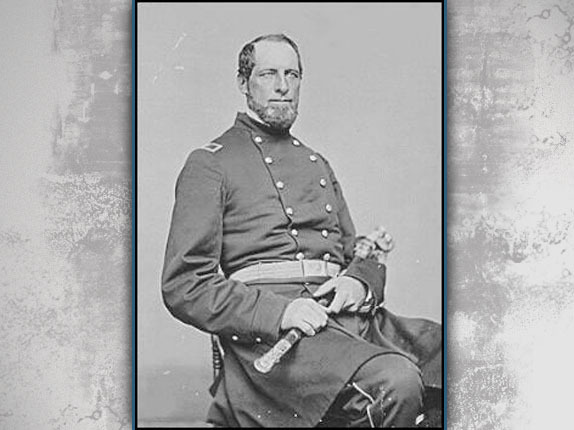 Colonel Lucius Fairchild (1831-1896) commanded the 2nd Wisconsin Infantry Regiment at the Battle of Gettysburg. 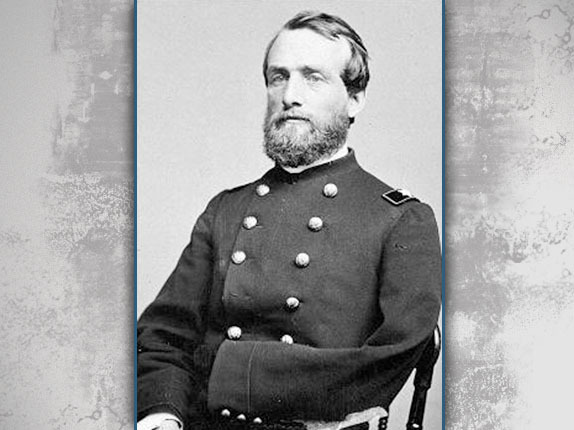 The volley that killed Major General John Reynolds on July 1, 1863 also wounded Fairchild. He was wounded by a minie ball which shattered his left arm just above the elbow. He was taken to the home of Pennsylvania College Professor Charles F. Schaeffer, where his arm was amputated by Dr. A.J. Ward just below the left shoulder. A few hours later, when the First Corps began its retreat through the town, Colonel Fairchild was seen by members of Battery “B” of the Fourth United States Artillery (formerly of the Iron Brigade) on the porch of the home, waving his remaining hand and calling out, “Stick to ’em boys! Stay with ’em! You’ll fetch ’em finally!” Colonel Fairchild was captured by the advancing Confederates, but as he was too ill to be moved they accepted his parole and he remained in Gettysburg for the remainder of the battle. 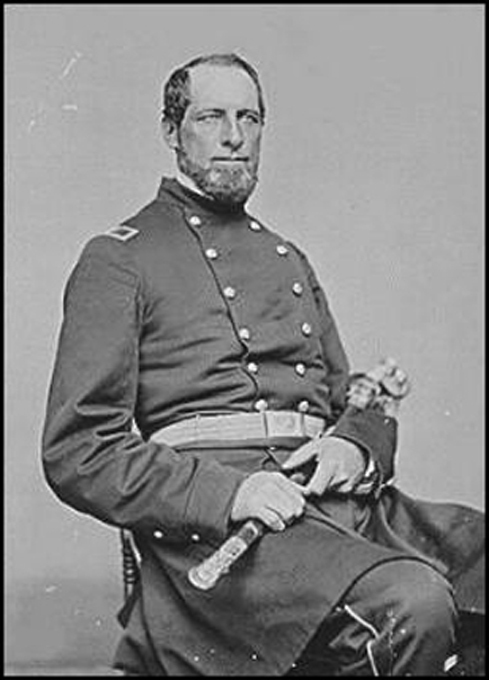 Following the Gettysburg Campaign, Colonel Fairchild returned to Madison, Wisconsin, on sick leave and on October 19, 1863 he was promoted to the rank of brigadier general. 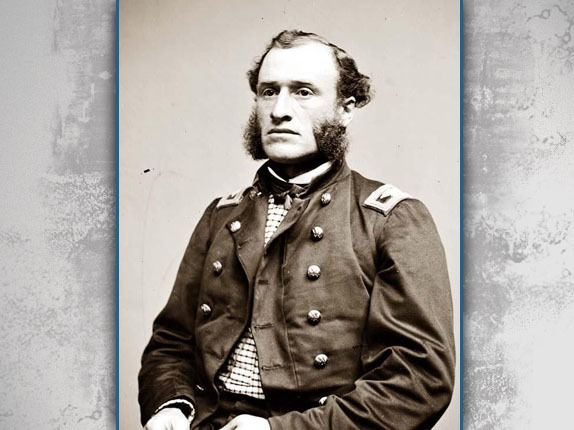 His wound was so severe that he could not continue on active service and so he resigned his commission and was mustered out of service on November 2, 1863. This view, taken circa 1863, is courtesy of Richard Goedkoop. 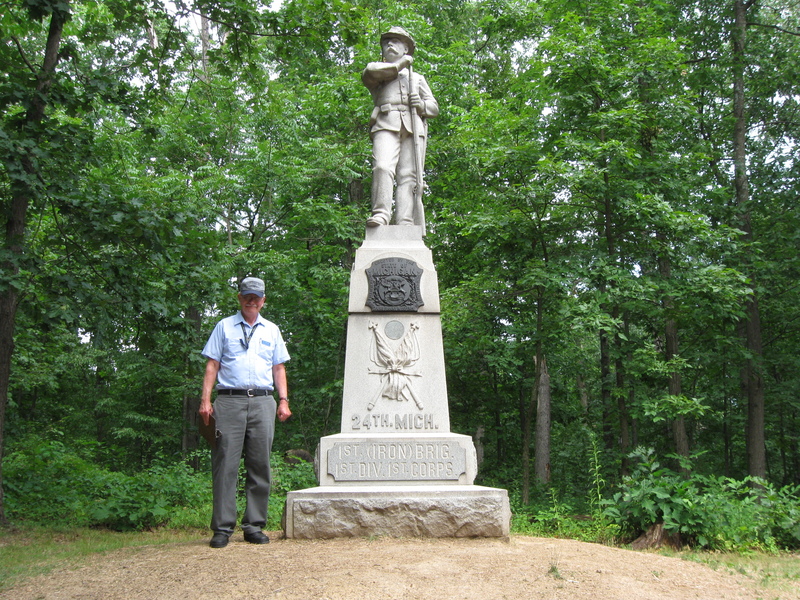 Richard Goedkoop is standing on the north side of Reynolds’ Woods/Herbst’s Woods/McPherson’s Woods, near the monument to the 7th Wisconsin Infantry Regiment. This view was taken facing northeast at approximately 3:30 PM on Saturday, July 17, 2010. In Video #11 Licensed Battlefield Guide Rich Goedkoop provides some background of the 7th Wisconsin Infantry Regiment. This view was taken facing east to southeast at approximately 3:30 PM on Saturday, July 17, 2010. 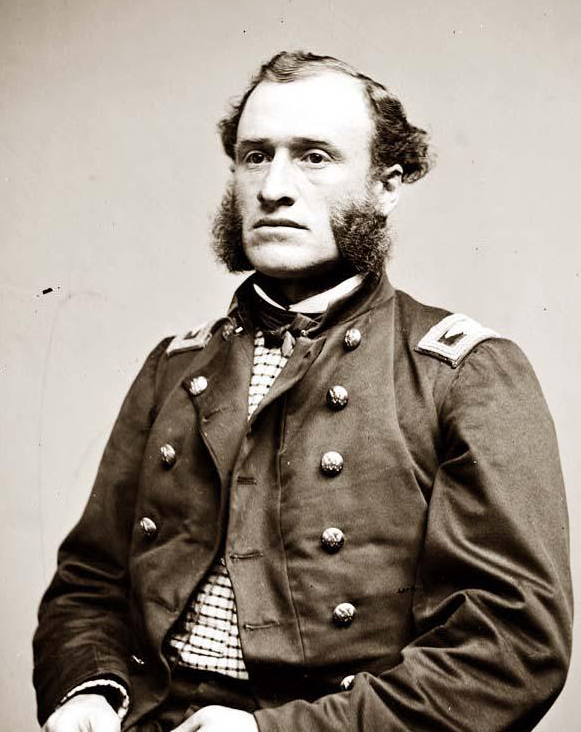 Colonel William W. Robinson commanded the 7th Wisconsin Regiment at the Battle of Gettysburg. He commanded the Iron Brigade after Brigadier General Meredith was wounded on July 1, 1863, and continued in command of the brigade until March 25, 1864 when the Army of the Potomac was reorganized and Lysander Cutler commanded the Iron Brigade. 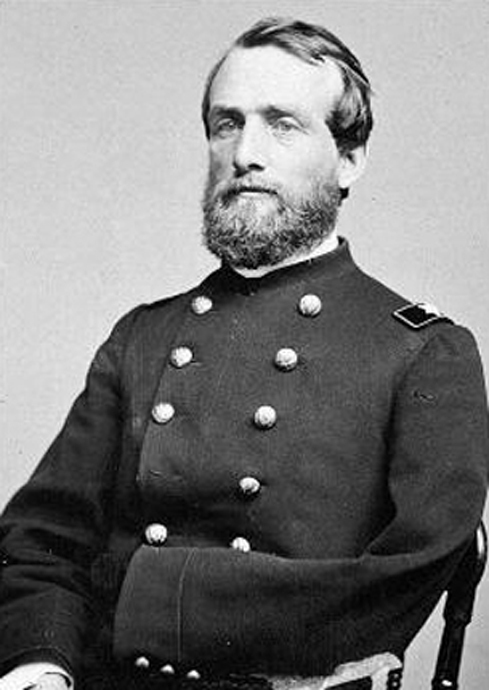 After Brigadier General James Wadsworth was mortally wounded at the Battle of the Wilderness on May 6, 1864, Cutler was promoted to division command, and Robinson again commanded the Iron Brigade. 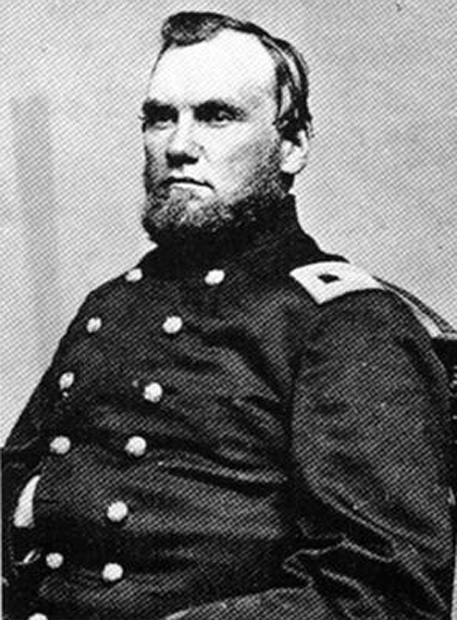 Robinson resigned during the Petersburg Campaign on June 7, 1864. This view, courtesy of Richard Goedkoop, was taken during the 1860s. Richard Goedkoop is standing by the monument to the 24th Michigan Infantry Regiment. This view was taken facing southeast at approximately 3:30 PM on Saturday, July 17, 2010. 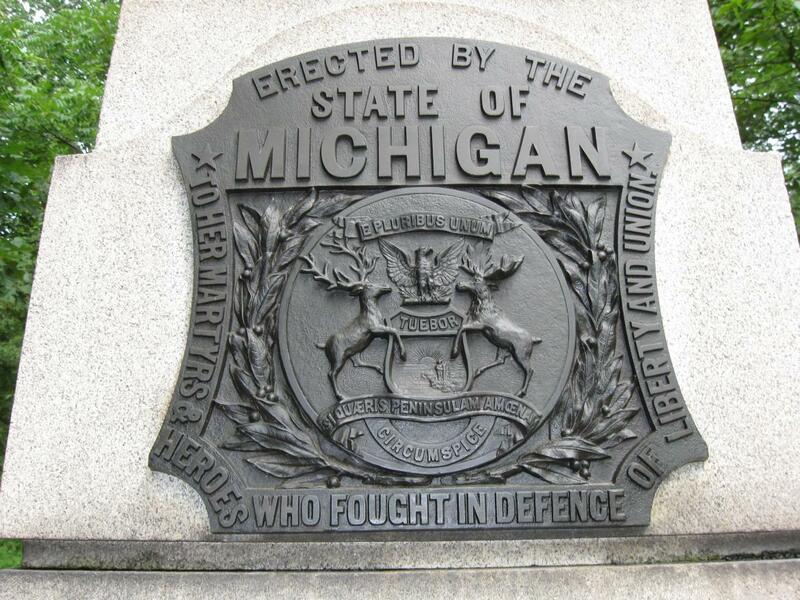 The Coat of Arms for the State of Michigan, shown on the monument to the 24th Michigan Infantry Regiment, was inspired by the Coat of Arms used by the Hudson Bay Fur Company. Michigan’s second governor, Lewis Cass, presented the idea to the Michigan Constitutional Convention, and it was accepted on June 2, 1835. At the center of the seal, the sun rises over a lake and peninsula. A man holding a long gun with a raised hand represents peace and the ability to defend his rights. The elk (on the left) and the moose (on the right) are symbols of Michigan, while the bald eagle represents the United States. Each of these proud animals lends credence to the motto on the shield, “Tuebor”, or “I will defend” although other scholars prefer “observe” or “consider.” Above the eagle is the familiar motto “E pluribus unum”, or “From many, one”. Below the shield are the words “Si Quaeris Peninsulam Amoenam Circumspice”, or “If you seek a pleasant peninsula, look about you.” This slogan is said to have been suggested by the tribute to architect Christopher Wren at Saint Paul’s Cathedral in London, which reads “Si monumentum requiris, circumspice” (Latin “If you seek a monument, look around you”). This view was taken facing southeast at approximately 3:30 PM on Saturday, July 17, 2010. 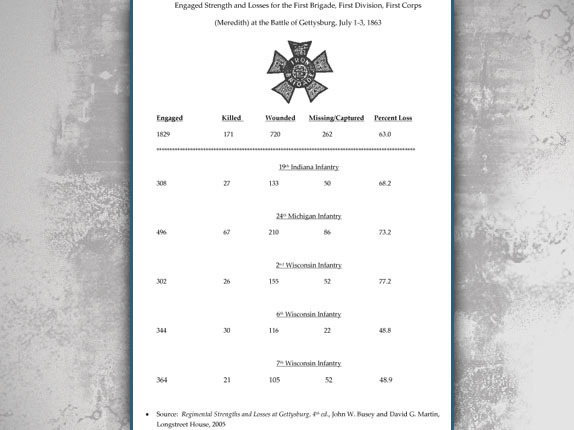 In Video #12 Richard Goedkoop provides some information on the 24th Michigan Infantry Regiment. This view was taken facing southeast at approximately 3:30 PM on Saturday, July 17, 2010. 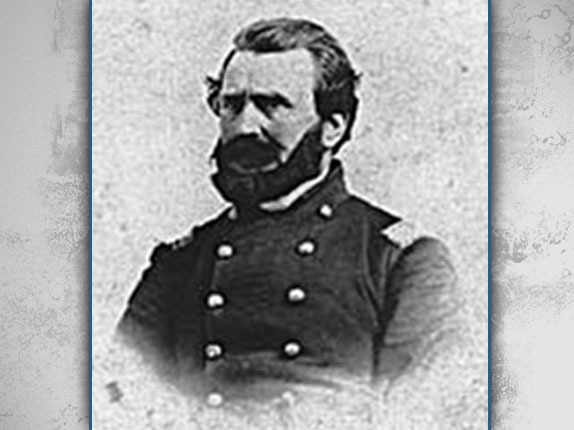 Colonel Henry Andrew Morrow (1829-1891) commanded the 24th Michigan Regiment at the Battle of Gettysburg. As the regiment began to retreat on the afternoon of July 1, 1863, Colonel Morrow was wounded in the head while holding the regimental flag. He was helped from the field by Lieutenant Charles Hutton of Company G. Morrow was again wounded at the Wilderness. 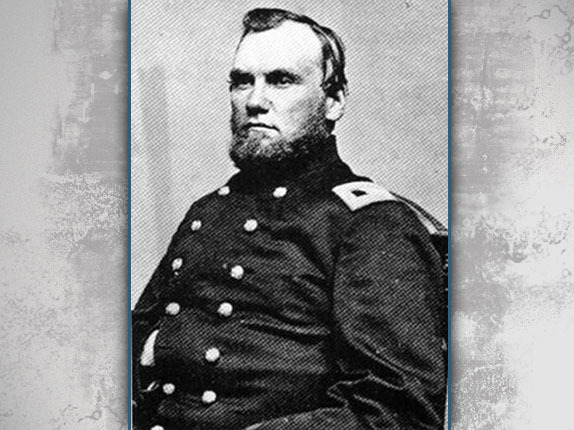 His case file reports the following: “Colonel H. A. Morrow, 24th Michigan, aged 33 years, received a shot fracture of the upper third of the fibula of the right leg, at the Wilderness, May 6, 1864. Five days after being wounded he entered Emory Hospital, Washington, three days afterwards. Five days after being wounded he entered the Seminary hospital, Georgetown, where his injured limb was operated upon by Surgeon H. W. Ducachet, U. S. V., who reported the following: ‘When admitted the patient had no appetite and was feverish, very nervous and irritable, complaining of every noise. The wounded leg was very much swollen, painful and discharging an unhealthy, sanguous pus. Resection of three inches of the upper third of the fibula was performed on May 11th, chloroform being used. The patient suffered intensely for twenty-four hours after the operation, when he began to improve. There were no unfavorable symptoms afterwards. Simple dressings were applied. The patient left the hospital on leave of absence July 1, 1864. '” Morrow returned to the field and commanded the Iron Brigade in 1865. This view, courtesy of Richard Goedkoop, was taken during the 1860s. 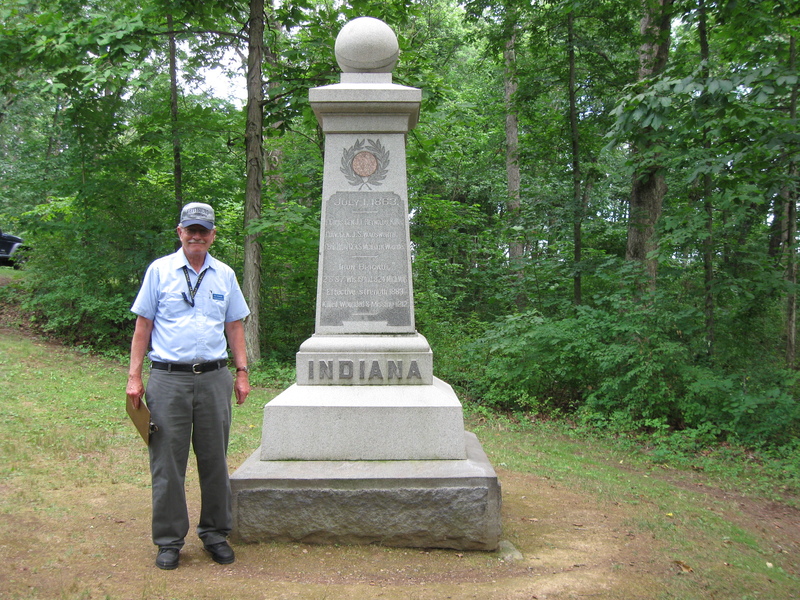 Richard Goedkoop is standing by the monument to the 19th Indiana Infantry Regiment. This view was taken facing southeast at approximately 3:30 PM on Saturday, July 17, 2010. In Video #13 Richard Goedkoop provides some information on the 19th Indiana Infantry Regiment. This view was taken facing southeast at approximately 3:30 PM on Saturday, July 17, 2010. 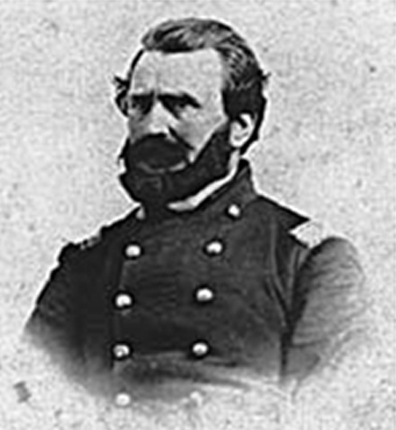 Colonel Samuel J. Williams commanded the 19th Indiana Regiment at the Battle of Gettysburg. Around midday on July 1, 1863, during a lull in the fighting, Colonel Williams asked several times to shift the regiment to better defensive ground behind them on McPherson’s Ridge. His request was denied, and he announced to his regiment, “Boys, we must hold our colors on this line or die under them.” Five of their colorbearers would be killed or wounded on July 1st, but none of the survivors had an accurate count of exactly how many different men carried the flag that day. Colonel Williams was wounded at Gettysburg, but survived the battle. He was killed instantly on May 6, 1864 when a artillery shell hit him in the chest at the Battle of the Wilderness. He left behind a wife and five small children all under the age of ten years old. This view, courtesy of Richard Goedkoop, was taken during the 1860s.